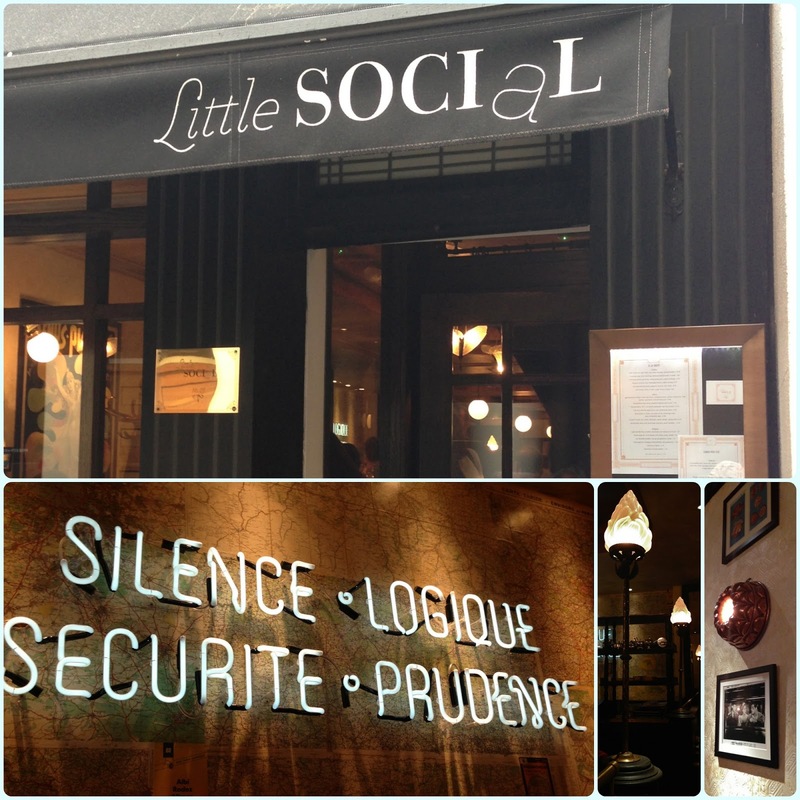 When I heard Little Social was opening I was as giddy as the proverbial kipper on birthday eve. Jason Atherton's first Pollen Street venture, Pollen Street Social divides opinion amongst bloggers, but it was one of the best meals I have ever had. Humble yet refined, and possibly my favourite dessert ever. 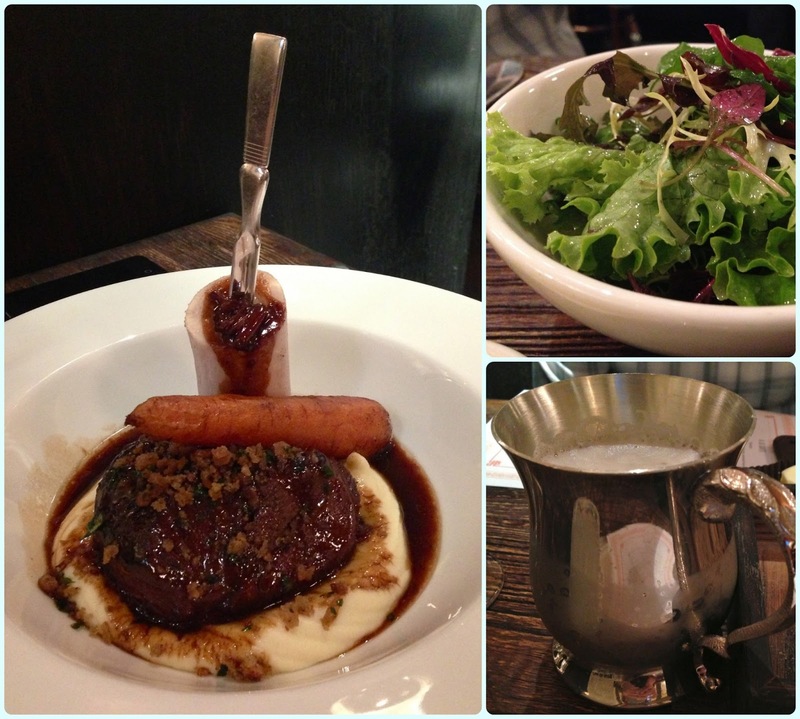 I had high hopes for the laid back Little Social, and it didn't disappoint. We arrived fresh from the train, starving and feeling a little chilly. Once inside you are transported to a dimly lit hideaway; the walls decorated with 'aged' anaglypta and old Michelin road maps of France. 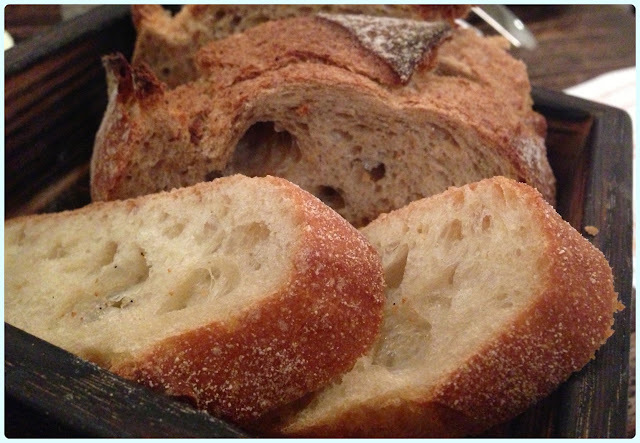 Warm sourdough appears and drinks are swiftly summoned. I like to think that this is where Harry Potter would eat if he was partial to a bit of fine dining. 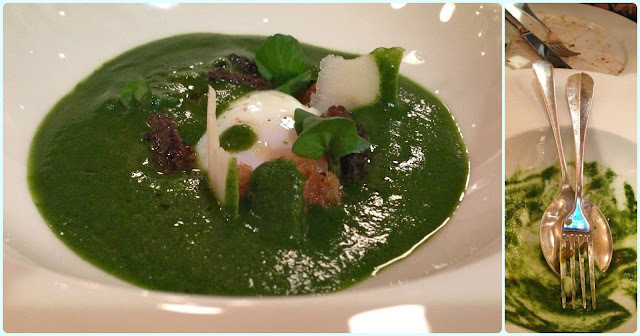 To start I had the watercress soup with slow-cooked egg, parmesan, braised morels and croutons. This emerald green creation was thick but fresh, and the perfect antidote to a chilly Dolly. 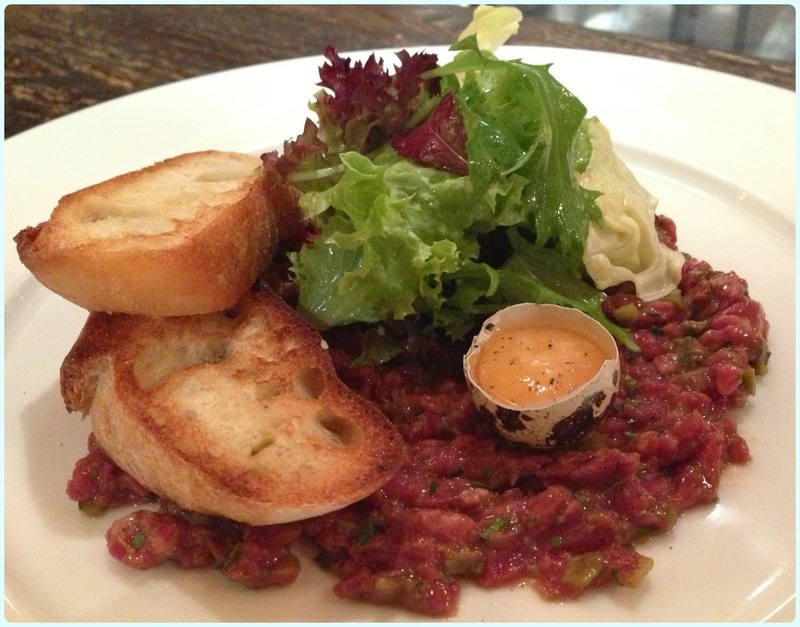 Paddy had read great things about the steak tartare, so was delighted to see it on the specials menu. It came with toast, a quail's egg yolk and salad leaves. Unreal. The meat was perfectly seasoned with a sharp edge. The stand out dish of the day. Moving onto mains, Paddy had the braised Irish ox cheeks with roast marrow bone, sourdough crumb, carrot and horseradish mash. He was very quiet whilst eating this, owing mainly to the fact it was delicious. I stole a bit for the sake of 'sampling'. 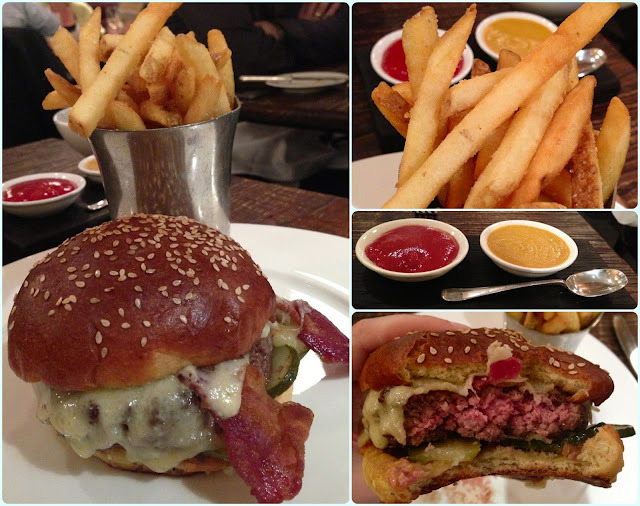 I had been coveting the aged Scottish beef burger with bacon and cheese, caramelised onions, pickles and French fries from the first time I saw the menu. At £17 this is one pricy patty, but gee whizz it was worth every penny. 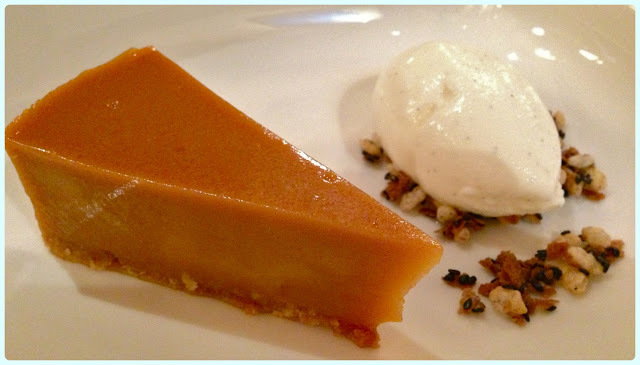 We were both a little intrigued by the brown sugar tart with crème fraiche sorbet and black sesame crumble. This was utter heaven. Mr Atherton, I salute you. This chap is concocting some of the best desserts out there. Sweet dreams are made of this. 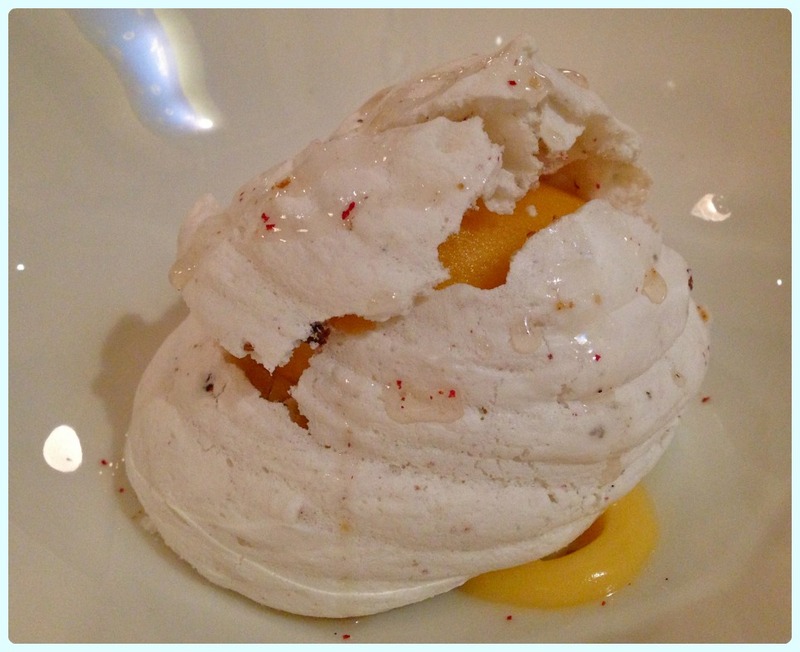 The pink peppercorn meringue filled with lemon and lime curd and passion fruit is a bit like a tidy tropical Eton mess. The pink peppercorns make the meringue quite spicy, but then the sorbet cools everything right back down. Very summery. 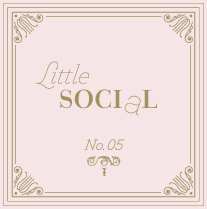 Little Social was just brilliant; it was everything I expected it to be. We loved Maze under Jason Atherton's control, had a fantastic meal at Pollen Street Social, an now this little darling is the icing on the cake. Next stop? Social Eating House.